Battle On The Bank IV – Banked Track Roller Derby Madness!! In Battle on the Bank IV nine teams from around the country will be competing to see who the national champions of the banked track are. 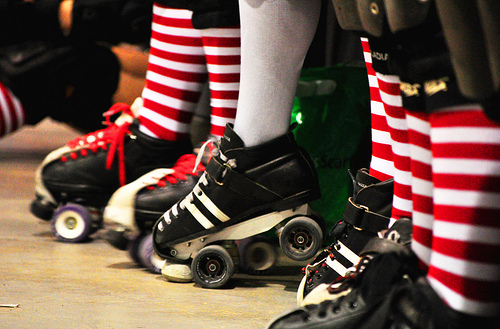 This year, the tournament is June 10 – 12th and is being hosted by the Arizona Derby Dames in Phoenix AZ at the Arizona Veterans Memorial Coliseum. Tags: Arizona Derby Dames, Arizona Veterans Memorial Coliseum, banked track roller derby, Battle on the Bank, Los Angeles Derby Dolls, San Diego Derby Dolls, Tilted Thunder Rail Birds, Tuscon Roller Derby.